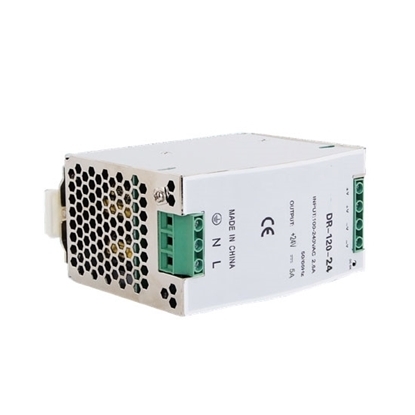 DIN rail mounted switching power supply with output voltage 24V DC, 36W rated power and 1.5A rated current is ideal for industrial equipment due to its high reliability in perfomance, low cost and high quality. 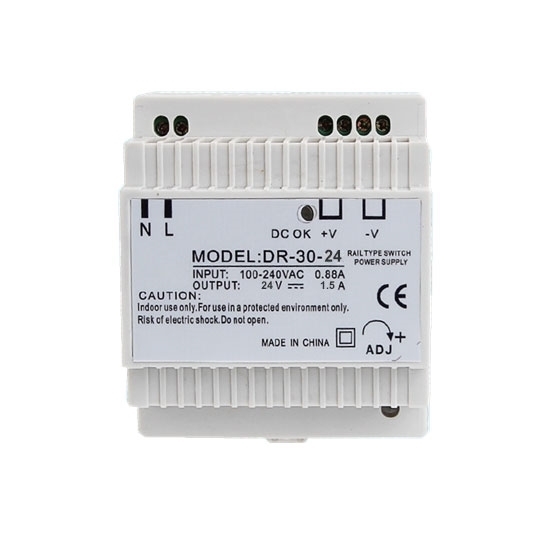 An reliable switching power supply 24V DC 60W is compact and easy- mounting for DIN rail. Brand new and high quality SMPS can keep the voltage stability which is widely used in LED lighting, communication equipment, electronic equipment and son on. Industrial 24V DC switching power supply converts AC to DC, mountable in DIN rail with rated current 5A and rated power 120W. It is durable, reliable and safe which is ideal for powering devices, home appliances, industrial equipment etc. Input power grid filter: the filter is used to eliminate noise generated by start of electric motor, switches of devices, and thunder strike. At the same time, it is also used to prevent high-frequency noise generated by switching power supply from spreading into power grid. Input rectifier and filter: rectify and filter input voltage of power grid and provide Dc voltage for convertor. Invertor: invertor is a key part of switching power supply. It converts DC voltage to high-frequency AC voltage. In addition, it also isolates output part from input power grid. Output rectifier and filter: output rectifier and filter convert high-frequency AC voltage output by convertor to DC voltage through rectification and filtering. At the same time, it could alleviate the influence of high-frequency noise on load. Control circuit: control circuit detects output DC voltage to make a comparison with benchmark voltage and process with amplification to modulate pulse width of oscillator, control transformer and regulate voltage. 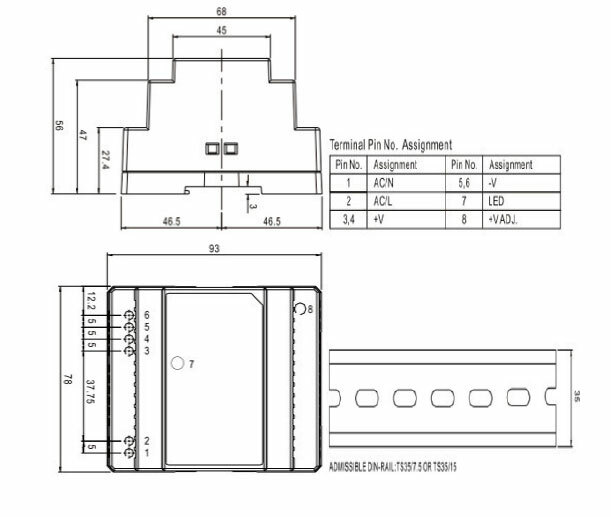 Protective circuit: when switching power supply is bothered with overvoltage, overcurrent, or short circuit, the protective circuit will cut off power to protect load and the switching power supply.